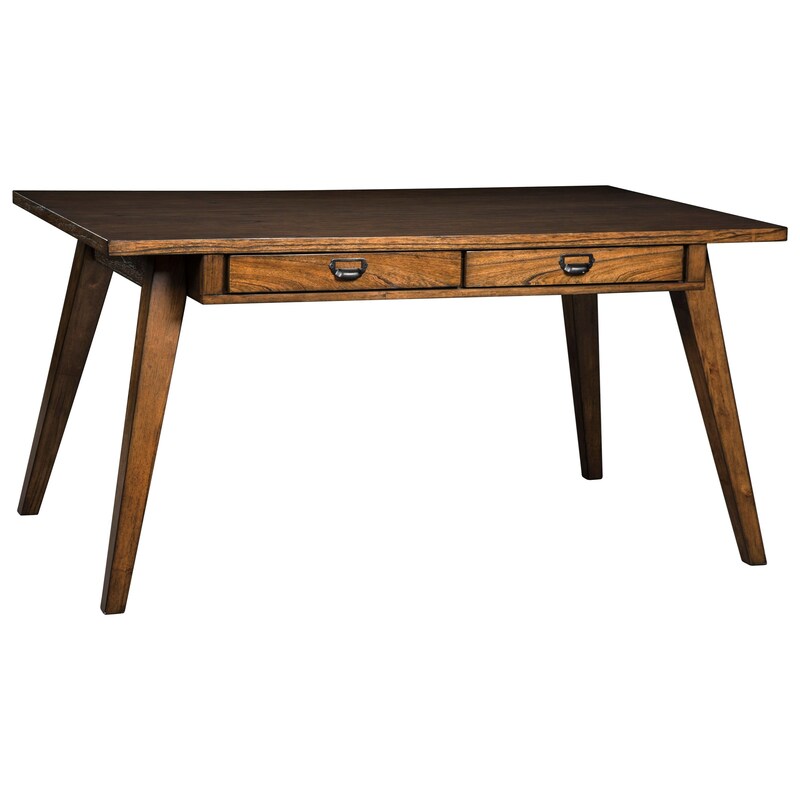 This mid-century modern inspired dining table is the perfect addition to any dining room, thanks to its unique design and the extra storage the four built-in drawers provide for quick and easy table setting. The slanted, tapered legs imitate classic mid-century modern styles, while the wood finish gives it an added rustic touch. The Centiar Rectangular Dining Room Table with Built-In Storage by Signature Design by Ashley at Household Furniture in the El Paso & Horizon City, TX area. Product availability may vary. Contact us for the most current availability on this product. The Centiar collection is a great option if you are looking for Mid-Century Modern Contemporary furniture in the El Paso & Horizon City, TX area. Browse other items in the Centiar collection from Household Furniture in the El Paso & Horizon City, TX area.